A quantum dot is made of cadmium selenide (CdSe), cadmium sulfide (CdS), or cadmium telluride (CdTe) and then coated with a polymer. The coating is used to prevent these toxic chemicals from leaking. The CdS is used for UV-blue, the CdSe for the bulk of the visible spectrum, and the CdTe for the far red and near infrared. The particle's size determines the exact color of a given quantum dot. A wide range of colors can be emitted from a single material simply by changing the dot's size and makeup. A larger dot emits the red end of the spectrum and the smaller ones emit blue or ultraviolet. As an example, a cadmium selenide (CdSe) quantum dot more than 6 nanometers in diameter emits red light, while one less than 3 nanometers wide glows green. Quantum dots could help scientists image the behavior of cells and organs to a level of detail never before seen. Conventional fluorescent dyes used in the life sciences to help researchers monitor how cells and organs grow and develop normally lose their ability to emit light within seconds. On the other side, quantum dots emit light far longer, helping scientists monitor cells and organs in diseased and healthy conditions. Nanocrystals made with zeolite are used as a filter to turn crude oil into diesel fuel at a major oil refinery in Louisiana, a method cheaper than using the conventional way. The human eye can see radiation as colors ranging from red wavelengths of about 700 nanometers to violet wavelengths of about 400 nanometers. The wide range of colors that can be produced by quantum dots makes them well suited for a variety of applications. As an example, they have great potential in security. Quantum dots could, for example, be embedded in banknotes or credit cards, producing a unique visible image when exposed to ultraviolet light. The image would identify the rightful owner of the credit card or banknote. Quantum dots could also be used in electronics applications such as data storage, light-emitting diodes, photovoltaic devices, flat-panel displays, and in medical ap-lications. Emory University scientists have used luminescent quantum dot nanoparticles in living animals to simultaneously target and image cancerous tumors. The quantum dots were first coated with a protective shell covering. Then special antibodies were attached to the surface of the quantum dots. After the quantum dots were injected into the body, they were guided to the prostate tumor of the living mice. Using a mercury lamp, the scientists were able to see the surface of the tumor illuminated by the accumulation of quantum dots on the cell. The scientists believe the ability to both target and image cells in vivo (in the body) represents a significant step in the quest to eventually use nanotechnology to target, image, and treat cancer, cardiovascular plaques, and neurodegenerative disease in humans. See Chapter 5 for more information about nanotechnology and nanomedicine. Scientists have been doing a lot of research with quantum dots to make photovoltaic cells more efficient. 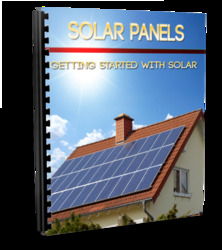 Presently, much of the solar energy striking photovoltaic cells is wasted. Here is why. When solar photons, fundamental light particles, strike a solar cell, they release electrons in the semiconductor to produce an electric current. However, when an electron is set free by the photon, it collides often with a nearby atom. The collision makes it less likely to set another electron free. So even though solar photons carry enough energy to release several electrons, producing more electricity, they are limited to one electron per solar photon, according to solar experts. 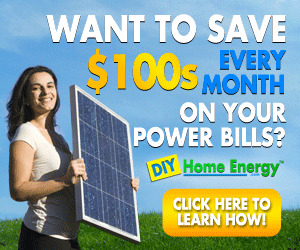 As a result, most conventional solar cells operate at 15 to 20 percent efficiency using solar energy. Researchers at the National Renewable Energy Laboratory (NREL) and the Los Alamos National Laboratory have been experimenting with quantum dots as a semiconductor in a solar cell. They have discovered that the use of the quantum dots allows solar energy to release multiple electrons, not just one. This research has the potential to make major improvements in the manufacturing of photovoltaic cells. The two research teams have calculated that a maximum efficiency of solar conversion at 42 percent efficiency is possible from the conversion of solar energy to electricity. So, more efficient solar cells are in the development stage.